Elder Care Coordination is a component in every Life Care Plan. 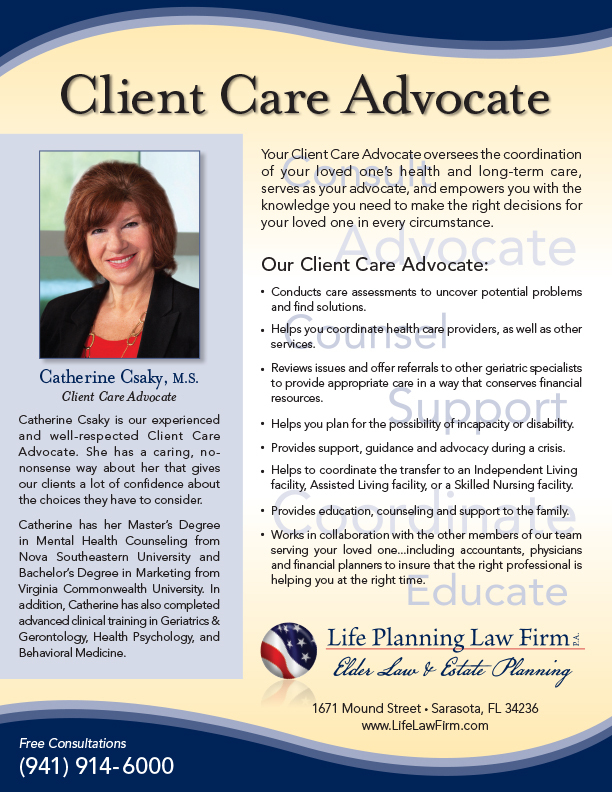 Your Elder Care Advocate oversees the coordination of your loved one’s health and long-term care, serves as your advocate and empowers you with the knowledge you need to make the right decisions for your loved one in every circumstance. As a part of their Life Care Plan, an Elder Care Coordinator is assigned to help our clients and their families with their long-term care concerns. 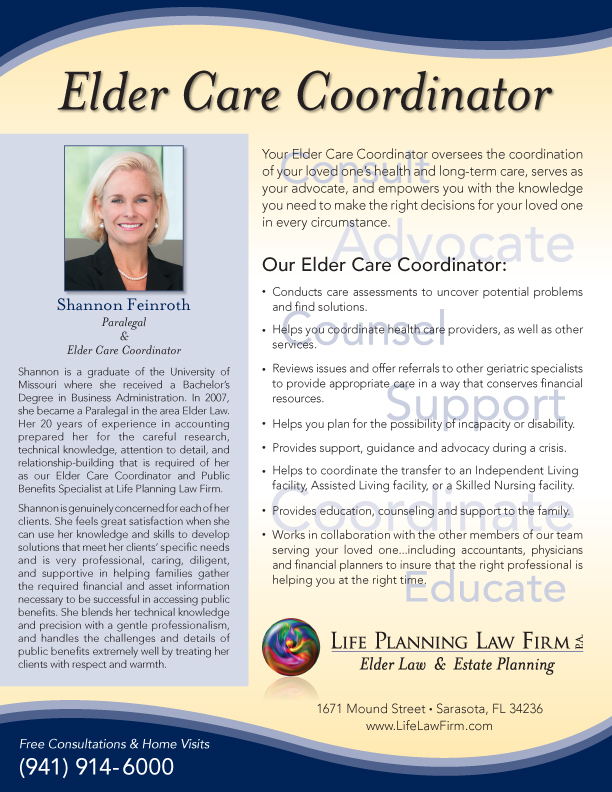 At Life Planning Law Firm, P.A., your Elder Care Coordinator functions as the point of contact for the family and assists in coordinating services to help you take care of your loved one. Your Elder Care Coordinator has extensive knowledge about the costs, quality, and availability of resources in the community. As our families begin their journey through the long-term care system, it is helpful for them to have a supportive and knowledgeable advocate to accompany them along the way. Whether your loved one is living at home, at an assisted living facility or in a nursing home, you can relax in the knowledge that their care is being coordinated by a team of caring professionals who have extensive knowledge about the costs, quality and availability of resources in the community.